Despite being in a smaller location, River Park Square has managed to avoid many of the problems dogging malls nationwide. When Marty McFly escaped Libyan terrorists in his DeLorean time machine in the 1985 comedy Back to the Future, he did so in the parking lot of the Twin Pines Mall. As he zapped back to 1955 in a trail of flame, the JCPenney sign glowed in the background. The spot wasn't just perfect because it had the space necessary for a DeLorean to get up to the time-traveling speed of 88 miles an hour: The gaping suburban mall, bringing vast parking lots and an epidemic of sprawl, was as much a part of the '80s as soda fountains and barbershops were in the '50s. But three decades later, enclosed malls themselves are beginning to go the way of the soda fountain, becoming a relic of the past. One retail report listed 200 large malls with vacancy rates of 35 percent or higher. Another market analyst group predicted that 10 percent of the nation's enclosed malls would fail by 2022. It's a challenging climate that is being felt across the Inland Northwest and beyond. Dale Burbridge, owner of Spokane Airsoft and Paintball, is among the last tenants still operating in the north side of NorthTown Mall — and he's required to be out by May. Those tenants have moved in anticipation of major renovations, but even with that temporary reduction in leasable space, vacancies are still peppered throughout that mall. "The east side is very vacant [as well]," Burbridge says. "You do get a good amount of foot traffic, but it's not enough to support the rent. I've seen businesses in there two or three months and then close." Hit the button on the glass elevator for the basement in the NorthTown Mall and nothing happens — Bumpers, the arcade, closed more than a year ago and hasn't been replaced. In the food court on the second floor, there's a Swiss-cheese pattern of holes where the Sbarro sign used to be. Sbarro has been gone for more than a month. The entire chain — reliant on foot traffic through malls — filed for bankruptcy protection earlier this month. Arby's is gone too. Year after year, ShopperTrak's analysis shows national retail foot traffic dwindling: Even with the country recovering from recession, holiday foot traffic was down nearly 15 percent from 2012 to 2013. A mall, after all, is a collection of stores. And entire genres of retail stores are faltering: At 8:30 in the evening, NorthTown's RadioShack is completely empty of customers. Just a month after Super Bowl ads proclaimed the store was moving into a bold new era, the company announced it was closing 1,100 stores nationwide. At JCPenney — a major tenant at both the NorthTown and Spokane Valley malls — the hiring of the genius behind the Apple Store didn't help. Its stock plunged 80 percent in two years; now it plans to close 33 stores and cut 2,000 jobs. Traditional retail stores have been hit on all sides: Lower-priced, get-everything-here stores like Sears have been battered by even cheaper stores like Walmart. The Internet has torn through music stores, movie theaters, bookstores and software stores. Amazon.com's Prime subscription promises free two-day shipping and free streaming movies for about the price of a year of Netflix. Prime users can get many items cheaper than at the mall and don't need to even need to step out of the house. "There really haven't been any [enclosed] malls developed in the U.S. in the past 10 years," says Dave Mangum, market analyst for the Gibbs Planning Group. There aren't the incentives or desire within communities. Instead, communities have favored developing mixed-use town centers, with retail, offices and homes all together in one spot. "There's this idea we don't need as much retail as we typically thought in the past," Mangum says. "The U.S. has more retail per person than any other country." Many outlet malls, Mangum says, are still thriving. Luxury stores are popping. It's the mid-level retailers targeting middle-class consumers — JCPenney, Sears — that have struggled the most. Malls catering to those customers have had to adapt. And malls in smaller cities competing with bigger markets, like those in Post Falls and Coeur d'Alene, had even more trouble weathering the recession and competing with stores like Walmart. Coeur d'Alene's Silver Lake Mall was nearly 40 percent vacant in 2009, and the outlet mall strip in Post Falls remains a nearly-empty ghost town to this day, as the city of Post Falls considers whether the space could be turned to something more productive. 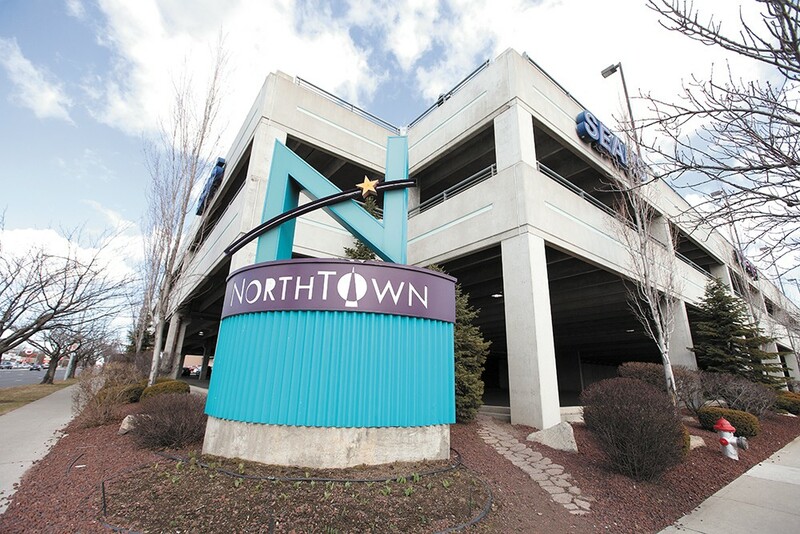 The most recent time there was a major renovation at NorthTown, in 1998, it was an expansion. This time it's a contraction. The 120,000 square feet of space between Macy's and Kohl's will be torn down, replaced by 63,000 square feet of new retail and restaurants. It'll come with updated lighting, paint and signage, and a sleeker, more prominent, north-side entrance. Consider it reflective of the new strategy of General Growth Properties, the big corporation that runs both the NorthTown and Spokane Valley malls. Thanks to an aggressive acquisition strategy that was foolish in hindsight, GGP filed for one of real estate's largest Chapter 11 bankruptcies in 2009. It managed to claw its way back from bankruptcy, but the days of expansion seem to be over. Instead it began ditching unprofitable properties — Silver Lake Mall was spun off as part of a separate company — to focus on more higher-end developments. NorthTown has embarked on an ambitious renovation plan to spruce up — and shrink — its north side. River Park Square in downtown Spokane already has that advantage. The mall is much smaller and parking isn't free. It also has the asset of being located in the middle of other destinations, including Riverfront Park, a row of restaurants and the Spokane Public Library. And it has upper-end stores — like Nordstrom and Apple — that excel at drawing upper-end customers. "We have a clientele that didn't seem to get as impacted by the recession," says Bryn West, River Park Square's general manager. The middle class was walloped in downtown, but the upper class emerged essentially unscathed. "We had no problem with any of our tenants at all. Suburban malls, different story." 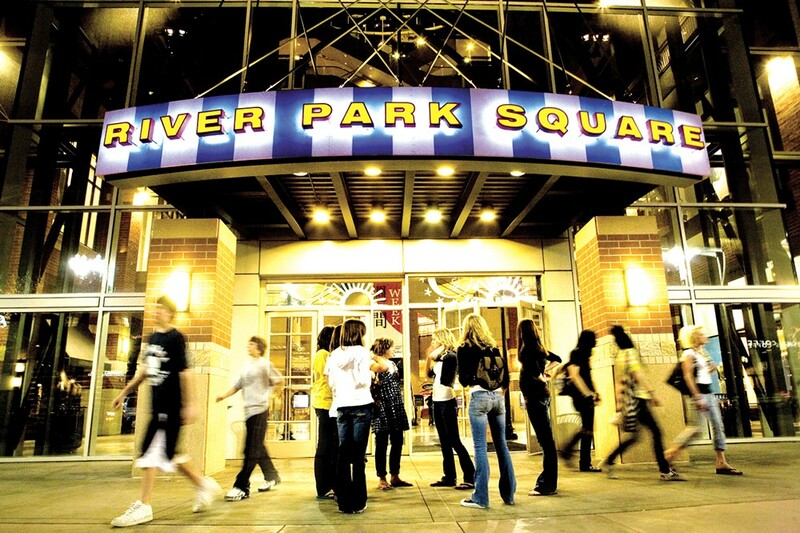 River Park Square is 94 percent full, and one of the vacancies is well on its way to being filled. The biggest frustration, West says, is the lack of space to meet the demand. "We're landlocked," she says. "We have the library on one end. Macy's on other." So when a big store like H&M was ready to move to downtown Spokane, she says, there wasn't any room. They went to Spokane Valley instead. River Park Square doesn't have many teen offerings. But it's full of higher-end female fashion, a niche especially resistant to the pull of online shopping. "As a woman going into Banana Republic to buy a $300 suit, I need to try that on," says West. That isn't the case for, say, gloves from Sears. Even with the high demand, West doesn't want to remain complacent. "In order to stay competitive, the malls have to focus on being sticky," West says. She's not talking about movie-theater floors, but referring to the idea of creating a place where people want to visit, even when they're not planning to shop. It's what wine-tasting rooms and movie theaters are about. It's why River Park Square hosts a gallery of children's art for First Friday and has aerial artists perform in the atrium. And it's why it added a swanky private lounge, furnished with modern couches and three big-screen TVs, for private parties. West hopes to take that even further by, say, adding patio seating outside on Post Street, where live music and other events could be held.